the National Trust property of Ethy Woods. It was a glorious day and such a tranquil setting. To add to the pleasure of this day we were treated to hospitality by the daughter of one of the strollers. We were "wined and dined " in her picturesque property in the middle of the woods. Please note that there will be NO stroll in December. We will meet again on Friday 26th January 2018, at 10:00. Sands. The weather was good and we could smell the sea breeze on the incoming tide. 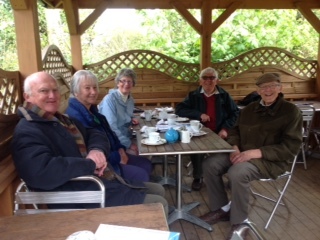 We finished off the stroll with a pleasant discussion to accompany our teacakes and coffee. The next stroll will be a walk in Lerryn Wood on Friday 24th November. Please meet up at 10:30 in the Lostwithiel Community Centre car park. The weather was very pleasant for our September stroll. 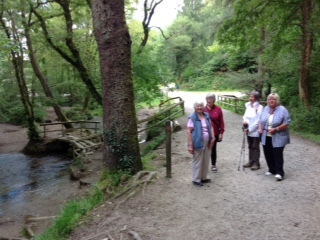 We walked alongside St Austell river, often referred to as the 'white river ' due to its previous china clay deposits. We then took a detour into the woods of the Pentewan Trail. 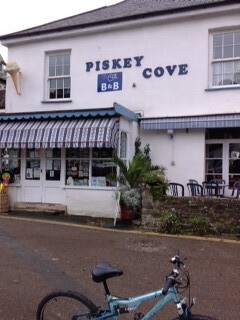 Everyone really enjoyed this stroll, especially the toasted teacakes and hot beverages at the Piskey Cove in Pentewan. 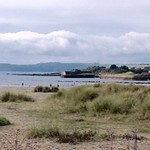 The next stroll around Par Sands holiday park will take place on Friday 27th October. We will, as usual, meet in the Lostwithiel Community car park, at 10:30. Following weeks of persistent rain, during the summer holidays, we were finally able to resume strolling again. The weather was pleasantly warm and the small group who took part in this walk, around Cardinham Wood, found it most enjoyable and surprisingly quiet for a holiday period. Once again the stroll around Cardinham Woods, on the 28th July, was cancelled due to poor weather. We will try again on Friday 25th August. Please meet in Lostwithiel Community Centre car park at 10am. Car driver most welcome. There is a £2 parking charge at Cardinham. If the weather remains wet we could go into Lostwithiel cafe for a cup of tea and a chat. 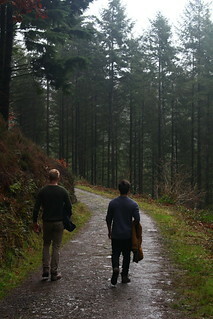 The stroll around Cardinham Woods on Friday 30th June was cancelled due to the appalling weather conditions. This stroll has been rearranged to take place on Friday 28th July meeting in Lostwithiel Community Centre car park at 10am. Please note there is a parking charge of £2 per car. 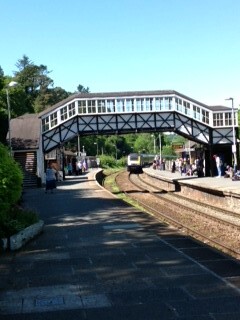 It was a glorious, hot and sunny day for our stroll from the National Trust car park to Bodmin Road station. Unfortunately, we narrowly missed seeing the "Flying Scotsman" steaming through the station, on its journey to Penzance. However, we managed to see a 125 Inter City diesel train passing under the listed passenger footbridge, on its way to Paddington. 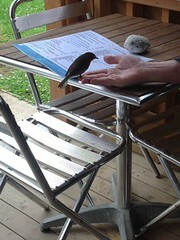 The food in the cafe was better than expected. There was a good selection, with the lemon drizzle cake being particularly tasty. 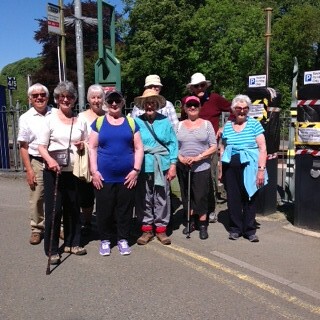 Members of the group decided that Cardinham Wood would be an enjoyable walk to undertake next. The date is Friday 30th June, meeting in Lostwithiel Community Centre car park at 10am. Car drivers MOST welcome. Please note that there is a small parking charge at Cardinham. 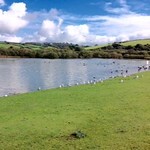 Our next stroll will take place by the river at Respryn. The terrain is flat and picturesque. Our final destination will be Bodmin Road station where we will be able to sample the culinary delights of the railway cuisine in the cafe. Feel free to bring your own sandwiches, etc, if you have a discerning palate. We will meet at Lostwithiel Community Centre at 10am on Friday 26th May. Car drivers MOST welcome. 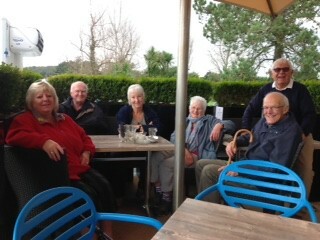 The weather was somewhat overcast but this did not dampen the enthusiasm of the group, who enjoyed a pleasant amble down a small section of the Camel Trail. 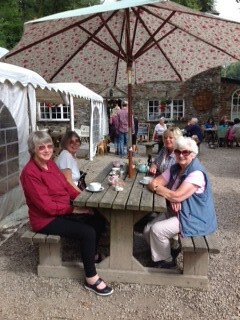 We stopped off at the "Tea Garden", where we enjoyed toasted teacakes, cream tea and a selection of beverages. Our group was only six people strong but we were joined, at our 11 o'clock break, by a friendly robin, who was quite happy to eat crumbs and sultanas out of Jon's hand (see photo). Our next stroll is planned for Friday 26th May, when we will tackle a pretty walk down part of Respryn. More details will be given later. 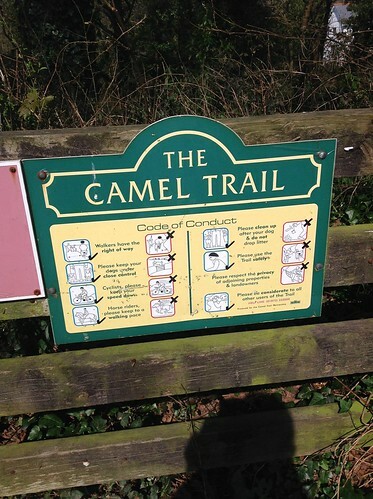 The initial walk of the "Strollers/Stragglers" group will take place on Friday 28th April, along a short section of the Camel trail. 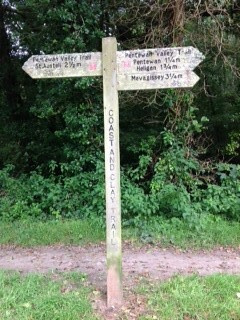 Please note that there is a cafe on route (see photo) for light refreshments and a chat. On the 28th we will meet at the Community Centre at 10am. Contact Nick Erskine on 01208 871112 or crawf70ersK(at)gmail.com for more details.